What We Know About Disney's "Nature Themed" Resort - DVCNews.com - The essential Disney Vacation Club resource! On Thursday, Disney issued a press release heralding its next hotel and Disney Vacation Club project. Details were scant but let's take a deeper dive into what we know about this new facility. The resort represents an interesting departure for Walt Disney World on several fronts. This is the first new Disney-owned hotel since Disney's Art of Animation opened back in 2012 and the first new resort conceived as a combination hotel and timeshare since Disney's BoardWalk Inn & Villas way back in 1996. Construction on Art of Animation actually began way back in 1999 when it was slated to be the second half of Disney's Pop Century Resort. Work was suspended in the wake of the 9/11/2001 terrorist attacks and resulting travel slowdown. It sat idle for nearly a decade before being revived with a new concept and family suite design. Not only were those Pop Century rooms mothballed, executives repeatedly used Disney Vacation Club as a vehicle for reducing hotel room inventory. The Disney Institute was completely reimagined as Disney's Saratoga Springs Resort & Spa. The North Garden Wing at Disney's Contemporary Resort was demolished to build Bay Lake Tower. Literally hundreds of hotel rooms were retrofitted to DVC villas at Disney's Animal Kingdom Lodge, Disney's Polynesian Villas & Bungalows and Disney's Wilderness Lodge. Even the newest DVC project, Disney's Riviera Resort, necessitated the removal of 500 rooms at Disney's Caribbean Beach Resort. 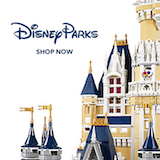 Nevertheless, Disney is now firmly committed to adding to its guest room inventory via 900 hotel rooms and villas on this Bay Lake site, 545 rooms at Disney's Coronado Springs Resort and an undetermined number at the forthcoming Star Wars hotel. The new resort will be located between Wilderness Lodge and Disney's Ft. Wilderness Campground, on land that includes the former River Country waterpark. Disney considered building on this site back in 2010-2011 but abandoned plans in favor of the Polynesian Villas and later Copper Creek. The property most closely abuts Ft. Wilderness with Mickey's Backyard BBQ reportedly closing at the end of the year to facilitate construction. Permits indicate crews will use the nearby STOLport site for construction staging. By all accounts, the resort is going to be truly massive. Disney cited a figure of 900 hotel rooms and villas. Villa counts are often expressed in terms of "two bedroom equivalents." A single Two Bedroom DVC villa not only occupies about three times the space of a standard hotel room, but can itself be split into a Deluxe Studio + One Bedroom villa for use by separate parties. Without knowing the exact distribution of hotel rooms to villas, it's difficult to gauge the scope. However, a report we published back in May 2018 via website GrowthSpotter.com claims that the resort will occupy about 1340 bays. A "bay" is a slot in the building earmarked for a single hotel room. In DVC terms, a Deluxe Studio villa would occupy 1 bay, a One Bedroom villa 2 bays and Two Bedroom requires 3 bays. If these figures are accurate, the "nature inspired" resort will contain 900 hotel rooms and villas spread over 1340 bays. By comparison, the entirety of Disney's Wilderness Lodge--including both Boulder Ridge Villas and Copper Creek Villas & Cabins--consists of roughly 670 rooms & villas over 1100 bays. Disney's BoardWalk Inn & Villas is home to about 750 hotel rooms and villas occupying 1200 bays. Thus the new resort would be larger than both the Wilderness Lodge and BoardWalk. The press release promised some "fun and even surprising accommodation types" which further complicate guesstimates. Traditionally DVC resorts have been designed with an equal mix of Deluxe Studio, One and Two Bedroom villas. However, the increasing popularity of Studio rooms may have Disney rethinking that philosophy. Sources indicate that the Riviera resort will contain a number of dedicated Studio villas to help meet member demand. If so, that philosophy is likely to extend here, too. The press release identified the new hotel and timeshare as a "Deluxe" resort. Beyond that we know next to nothing in this regard. Similar to its Wilderness Lodge and Ft. Wilderness breatheren, the new resort will likely offer boat service to and from the Magic Kingdom and buses to the other theme parks and destiantions. The usual assortment of dining and recreation features will be provided. A resort of this size is likely to include both table service and quick servicing dining alternatives. Other options will be just a short walk or boat ride away at Wilderness Lodge, Ft. Wilderness and even the Contemporary. At least two pools will certainly be included--a feature pool and smaller leisure pool. The 2011 design featured a large complex dubbed the "Riverpool." Its circular layout suggested some sort of lazy river, along with the usual zero entry platform, waterslide, hot tubs, etc. Whether or not this elaborate plan survived the redesign is unknown. In the absence of a name, Disney simply referred to the project as a "nature inspired" resort. Several Disney Vacation Club owners received a survey asking for feeback on a variety of names. Options included Disney's Discovery Lodge, Reflections, a Disney Lodge and Disney's Color of Nature Resort. The "Discovery" reference is likely a call-back to Discovery Island, the long-abandoned facility at the center of Bay Lake. It is difficult to glean much from the one piece of concept artwork released. The design of this new resort is said to be "...a celebration of Walt Disney's lifelong love and respect for nature." Additional details are necessary before we can judge how effectively Disney managed to differentiate this property from its wilderness-themed bookends. Disney's Riviera Resort, the fifteenth Disney Vacation Club property is scheduled to open in 2019. The unnamed "nature inspired" hotel and timeshare is slated to debut in 2022.